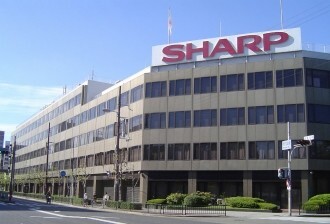 Sharp has announced that it has entered into an agreement with Pixtronix, a subsidiary of Qualcomm, for the development of new power-saving screens based on the companies’ MEMS and IGZO technology. Qualcomm is investing ‘as much as’ 9.9 billion yen (around $120m) for a stake in Sharp as part of the deal, which is intended to give some financial stability to the debt-laden Japanese display manufacturer. Qualcomm will make an initial investment of 4.93 billion yen ($59.91 million) by the end of the year in a private placement of stock at 164 yen per share, for a 2.64% stake after dilution. The timing and amount of the remaining investment has yet to be determined and will depend on Sharp returning to profit in the second half of the business year ending March 31, says Reuters. Qualcomm acquired display startup Pixtronix in January to complement its own MEMS-based Mirasol display technology. The new tie-up is another step in that direction as the companies look to gain a stronger foothold in the small-to medium-sized LCD market for smartphones and tablets. Sharp says the two firms will also consider collaborating in the fabrication of chipsets to deliver devices that maximize both performance and battery life. Sharp is doing everything it can to return to profitability, including layoffs, seeking voluntary retirements, reducing pay and selling TV assembly factories. It also closed a key refinancing deal in September which provided $4.6 billion in loans, and is said to be in talks with Intel and Dell for further capital investments.